Our two-day sailing course consists of two sessions each day tailored to the specific needs of the individual or group to progress and improve sailing ability. The nature of each session will depend on the student’s ability with maximum time afloat, shore based theory and observed practice time. The course can be run as a private session or as part of a group of students of similar ability. 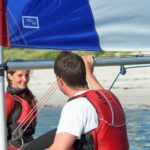 If you are doing an RYA sailing course you may progress through more than one level during this two-day course. Group sessions make for sociable sessions and a brilliant way to learn from each other. The group courses are run on set days on St. Mary’s and Tresco. Timings of these course are generally: 10am-12pm and then 1pm-3:30pm depending on tides and conditions etc. RYA log books and publications are not included but are available. 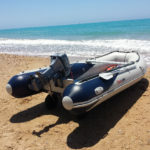 When booking please specify if you wish to complete/work towards an RYA certificate.